Hello, this is my first build submit, i have much fun playing it so I wanted to share it to everyone. combo which allows us to stack a maximum of 300 ignite providing a 3000% increased damage on the target. We're using the Trypanon unique mace with Cyclone-CoC-Firestorm-BladeVortex-ChancetoIgnite-LifeLeech/IncreasedDuration/FirePen + Avatar of Fire to convert Cyclone and BladeVortex to fire damage. -Unstoppable adds movement speed and makes you immune to slow effects, specialy freeze and temporal chains, which we use to curse ourselves to increase the duration of our skills effects. -Undeniable grants you attack speed and 1000 accuracy wich result in a 87% chance to hit with cyclone. -Unfliching allows us to selfbuild up to 9 endurance charges, which results in a permanent 90% physical damage reduction. Warning:Getting the right colors cost an average 1587 chroms. You can use a 5L aswell. 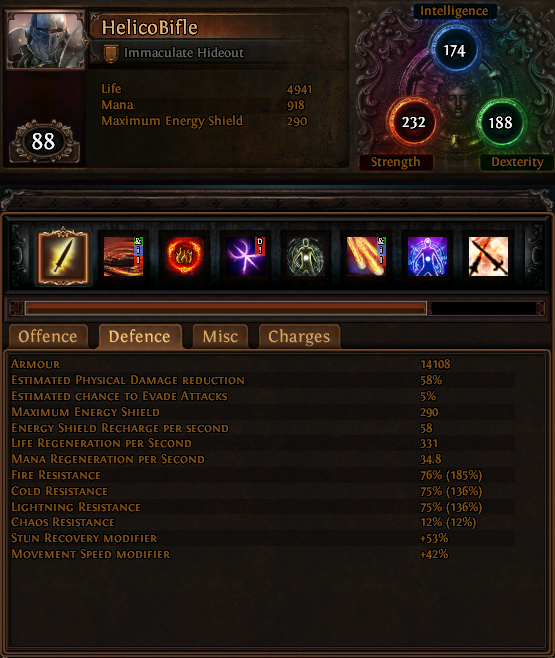 Allows you to self-build your endurance charges and to proc the regen enchant on our boots. 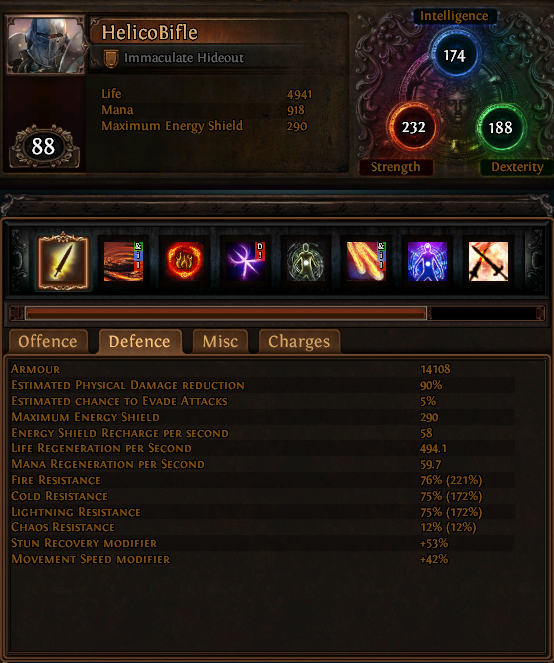 I don't know which enchant is better, maybe cyclone AS or Anger/Grace reservation. +1 curse (corrupt) to dual curse elemental weakness and temporal chains. 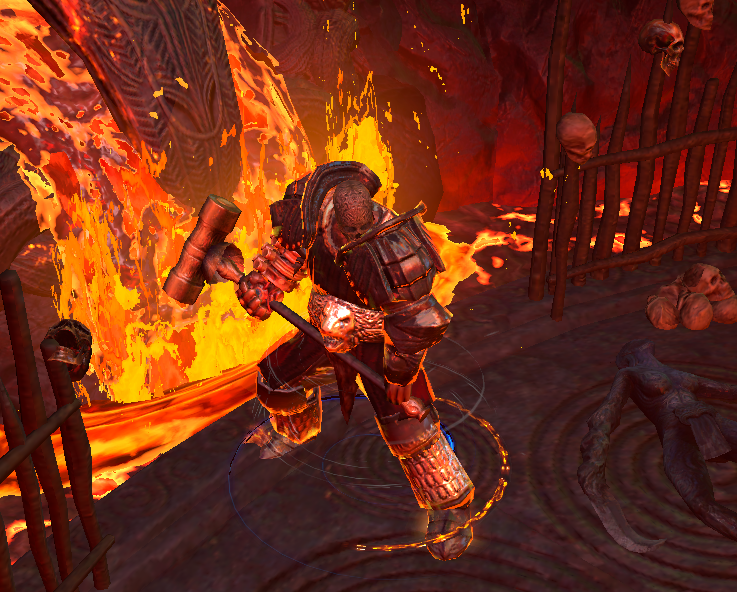 The increased duration of elemental status ailment allows us to stack more ignite on a boss which gives more damage. It's a must have to reach more than 5K hp. the +1 to max res from corruption is a luxury bonus. The implicit curse isn't reflected to you (note that it can be changed in the future, if so then replace by a "curse with temporal chains on hit" :D). Elemental status ailment immunities counts as a buff (for mantra of flames). enchant:Regenerate 1,5% of life and mana per second if you were hit recently. Use both during bossfight to slighty boost your dps. Use whenever you want to run or to cancel fast your cyclone if you have to. why not just go crit on your spells and drop ignite chance? it gives you a lot of room for growth. Just curious - How are you capping resists? I have no crit multi since i use emberwake and Elemental Overload and BV and Firstorm base crit chance is 6% so 100% increased spell crit chance equals to 6% ignite chance, Chance to Ignite gem can gives 50% chance to ignite which correspond to 834% spell crit chance. I use many passives from tree which are on my way/2 points away so it's not a real loss. So youre posting a build which costs atleast 10-15ex and only providing a video of the first stage of izaro merc? You gotta be kidding. The page is still in redaction, i did a quick video when running lab to show how the build looks ingame, other videos comming soon. Hi there, please explain me where mistake. 1. You have weapon with 100% crit. 2. You have Avatar of Fire, so all your damage is fire. 3. Fire damage have 100% chance to apply ignite on crit. So my question is why you use "chance to ignite" gem and pick "chance to ignite" in tree and gear?